It’s the moment that brought larger-than-life plumber Kenny to tears – the moment his darling little boy gets to see his parents properly for the very first time. And we promise that after watching this tender moment, there won’t be a dry eye in the house. 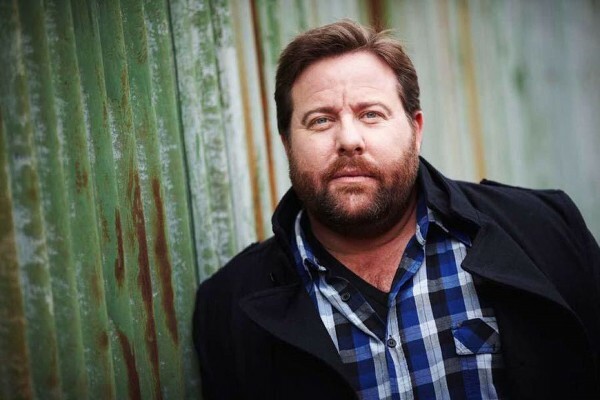 Shane Jacobson, the actor best known for his role as a portaloo plumber in Kenny, has spoken about the day his baby son could finally see things the way we all take for granted. It’s a rare peek into Jacobson’s family life, the actor rarely speaks publicly about his four children, preferring to guard their privacy. Jacobson says his partner Felicity Hunter had an inkling that something wasn’t quite right with their youngest son Jax’s vision. She decided to take him to get his eyes checked and it turns out her mother’s intuition was right – their little boy was struggling to see properly and needed glasses. My wonderful partner Fliss thought that our baby boy had a vision problem and decided to get him checked early, I am SO glad she did, it turned out she was right. I only share this with you all so that you can see the moment that our beautiful baby boy gets to see us and the world clearly for the first time. If you think your children may have vision problems, I can assure it's worth the effort to get them tested. It has changed his world. The heartfelt personal video has received 78,000 views since being posted yesterday. Jacobson, a father of four, offers a last word of advice for parents: “If you think your children may have vision problems, I can assure it’s worth the effort to get them tested. It has changed his world,” he says. Jacobson’s video reminds us of another sweet post from last year, where we showed you baby Piper’s delight at seeing her own mum’s face clearly for the first time.